What views will you discover on your Big Bear adventure? It is getting cooler up here at Big Bear Lake, so how about heading indoors for a bit to enjoy the many live music performances going on in the area? While you’re at it, check out the new round of cooking events at the Copper Q, where not only will you stay warm, you will leave with some amazing recipes. Still though, the great outdoors awaits with temperatures still in the 50s and 60s this week. Throw on a sweater and head outside! Since skiing and snowboarding are just out of our reach, we suggest you find one of the many trails that wind through Big Bear and follow it for a few miles. You never know what wonders you are going to see. 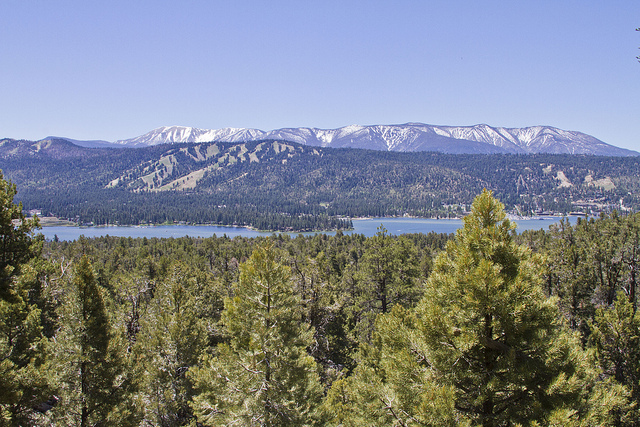 The mountains around Big Bear Lake are vast. The amount of wildlife that calls Big Bear home is incredible but hard to find if you are looking for it by yourself. That is why the Big Bear Discovery Center offers Nature Walks every weekend in November. Each walk is about thirty minutes long, and tailored to be accessible to all fitness levels. Take a walk in the fresh mountain air with a guide that will tell you all about the plants and animals in the area, and have fun with some historic trivia. If you are looking for something a little more strenuous to do on a weekend, check out the schedule for the Mountain Top Hiking Club! This group is serious about hiking. They have a good long hike almost every weekend this month, including hikes on the Pacific Coast Trail, Sugarloaf Mountain, and Silver Peak. They also make sure they have one or two hikes for the people that may not be as familiar with hiking, like the Lake Gregory Fall Bird Walk, or their light walks every Monday morning. They have a little something for everyone! The Mountain Top Hiking Club also has hiking for the weekend warrior. On November 9-12, the club will be going on a 30 mile hike from Mission Spring to the Whitewater River and a little beyond. This is a hike for people who are looking for a challenge, as you will have a backpack full of gear to bring with you. They even have a list of necessary equipment to bring listed on their website. This is also the final journey on Section C of the Pacific Crest Trail, which is just under 133 miles. You can follow them on their site to see when they will be starting the next big adventure for 2013! So come up to Big Bear Lake for the weekend and explore the area by foot! We will have a warm room ready for you and then you can head into the Village for shopping and dining. Our mountain hideaway has something for everyone in every season. Gallery | This entry was posted in What to see and do and tagged Adventure, Big Bear CA, Big Bear Discovery Center, big bear lake, Challenge, Copper Q, environment, exercise, Fall, family, Fitness, fun, hiking, lake, mountain, mountain hideaway, nature, relax, travel, vacation, Walk, What to Do, workout. Bookmark the permalink.